Come with family and friends and spend a great day packed with spectacular displays at the nation's premier strategic bomber base. • May 18 and May 19. • Gates open at 9:00 a.m.
• Show Starts at 11:00 a.m.
Free, on-base parking through North, East and West gates. Parking map coming soon. No weapons allowed. Backpacks, large purses and coolers are prohibited. Check FAQs for details. Food and drinks will be available for purchase. Water bottle filling stations will be placed throughout. 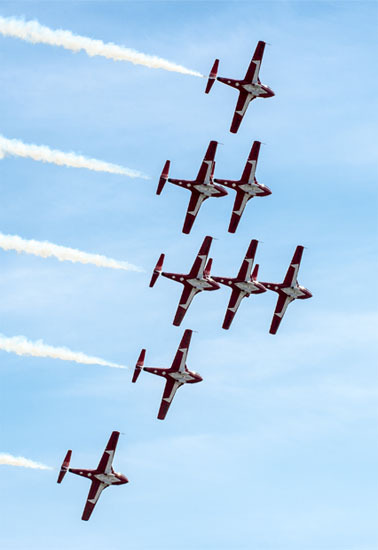 The Canadian Force Snowbirds, 431 Air Demo Squadron, are a Canadian icon comprised of Canadian Armed Forces members and National Defence Public Service employees. The Black Daggers are the official U.S. Army Special Operations Command Parachute Demonstration Team in support of community relations and recruiting. December 7, 1941—a date which will live in infamy—the United States of America was suddenly and deliberately attacked by naval and air forces of the Empire of Japan. The Barksdale Defenders of Liberty Air & Space Show is organized and hosted by the 2nd Bomb Wing Barksdale Air Force Base with the support of the Shreveport-Bossier Military Affairs Council. Held for the first time in 1933, the Barksdale Defenders of Liberty Air & Space Show is a full-weekend spectacular featuring displays of the latest, as well as historic, military and civilian aircraft and other related performers. The Barksdale Defender of Liberty Air & Space Show serves to enhance public awareness of U.S. Air Force capabilities and the Barksdale AFB mission through static displays and aerobatic performances. 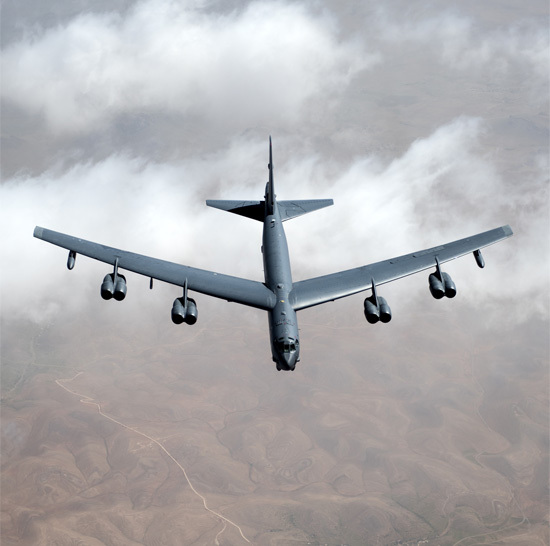 Likewise, it allows Shreveport-Bossier City to showcase Louisiana as the home of the B-52, pay tribute to service members, and support the recruiting arm of the United States Armed Forces.